Sometimes all you need is 1 day of ginger tea, food and homemade ginger shampoo to detox your body, mind and spirit. 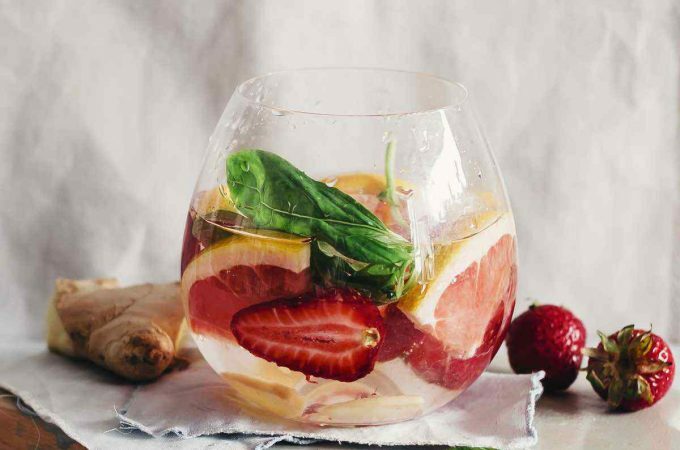 This free ginger detox cleanse + meal plan includes 12 detoxifying recipes that help you reap all of the benefits of ginger and its magical properties, without starving yourself. Start your ginger detox cleanse with a delicious ginger tea designed to boost your energy first hour in the morning. Green tea is an exceptional detoxifying ingredient, both because of it power antioxidants that helps you cells fight against free radicals damage, and because of its diuretic effects, helping your kidneys eliminate excess waste. 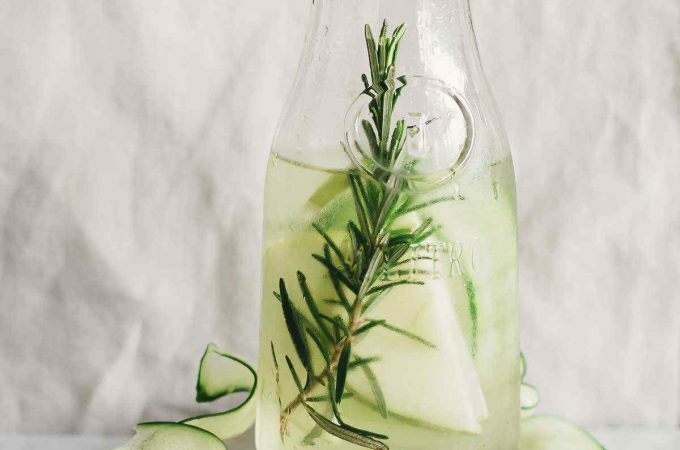 Cucumber contains unique polyphenols called lignans, with health effects regarding a reduced risk of different types of cancer. Peppermint has both antiviral and metabolism boosting effects, making a great pair with the ginger, both flavor-wise and detox-wise. This is my absolute favorite, and really is the best ginger tea recipe ever! Add all the ingredients into the blender and process to incorporate. Strain and drink straight away. 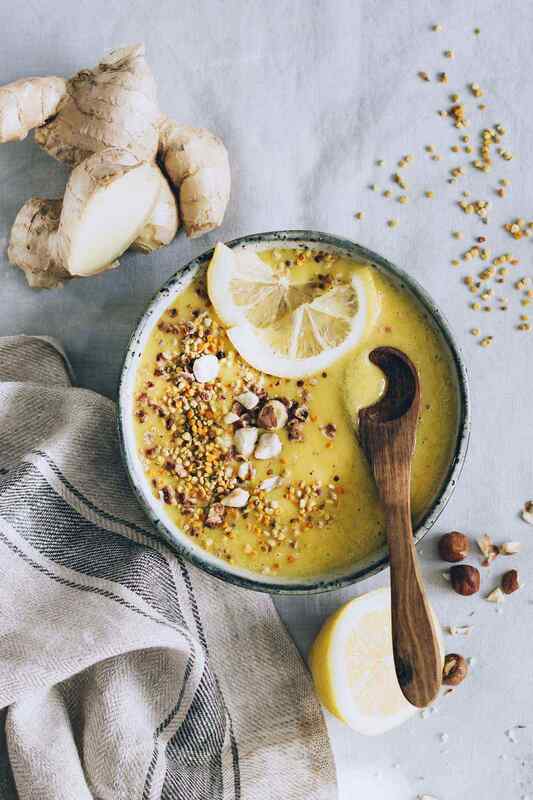 There’s nothing more refreshing than a bowl of creamy, nutrient-packed ginger smoothie that is easy to digest and loaded with fiber to keep you satiated until lunch time. This smoothie is made both with fresh ingredients such as mango (a master of antioxidant vitamin C and fiber), lemon (with its metabolism boosting properties) and ginger (an exceptional digestive soother with antioxidant effects), and dried, such as pollen, a complete ingredient, loaded with enzymes, vitamins and minerals, and turmeric, the master anti-inflammatory ingredient, the king of the Ayurvedic medicine. The nut butter nourish your brain cells and balance the hormone production to boost the natural detox processes of your body cells. Add all the ingredients into the blender and process to obtain a smooth, creamy liquid. Divide into serving bowls, garnish with bee pollen and nuts and serve. Green, fresh ingredients provide fresh oxygen and chlorophyll to your cells, helping them detox naturally. 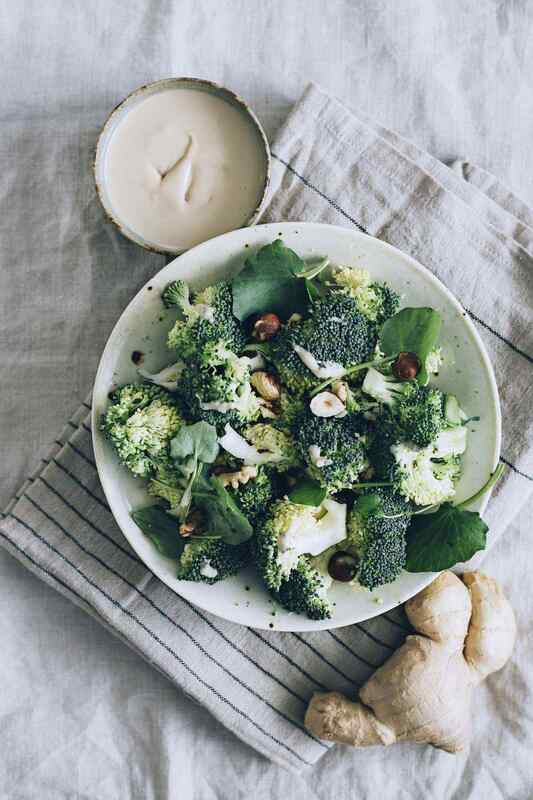 This broccoli and fresh greens salad nourishes your cells with essential minerals, fiber and antioxidants, while also supporting the natural detoxification process with unique anti-inflammatory compounds that reduce the risk of chronic disease including cancer. The ginger-tahini dressing is not only adding a delicious taste and creamy texture to your salad, but also enriches it with fresh antioxidants and healthy fats to support the hormone production and overall health so you get all the benefits of ginger, without sacrificing taste. Add the steamed broccoli, chopped greens, mixed nuts and onion into a large bowl, and toss to combine. Add the rest of the ingredients into a blender and process to obtain a creamy dressing. Add more lemon juice to obtain the desired consistency. Drizzle the dressing over the salad, and mix to combine. Serve straight away or pack to go. Fiber is a key compound of a healthy diet, because it helps your body cleanse naturally and flush out excess toxins, old estrogens and cholesterol, while reducing the amount of time the food spends into your system. Fiber is also important for nourishing the good bacteria colonies within your colon, responsible for a healthy immune system and vitamin production (including the precious B12). Chickpeas are everything fiber-related – they contain both soluble and insoluble fiber to stimulate digestion and natural cleanse, while also providing the key minerals such as calcium and magnesium to support a healthy cell activity. Sprouting enriches the minerals concentrations within chickpeas, while also making them easier to digest. 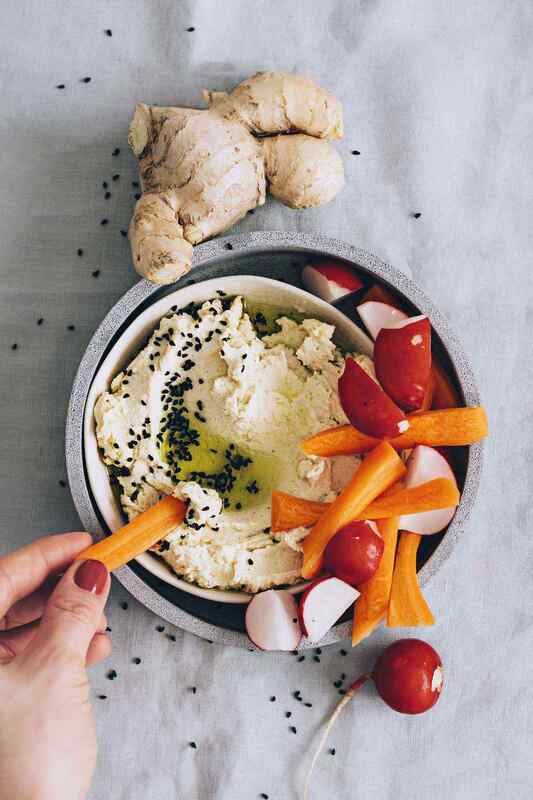 Ginger is a surprising, yet delicious addition to hummus, adding it a little spiciness and extra nutrients to create the perfect afternoon snack. Boil the chickpeas into purified water for 20 minutes, drain. Add all the ingredients into the food processor and process to obtain a creamy paste. Transfer into a serving bowl, drizzle with olive oil, sprinkle with nigella seeds and serve with fresh veggies. 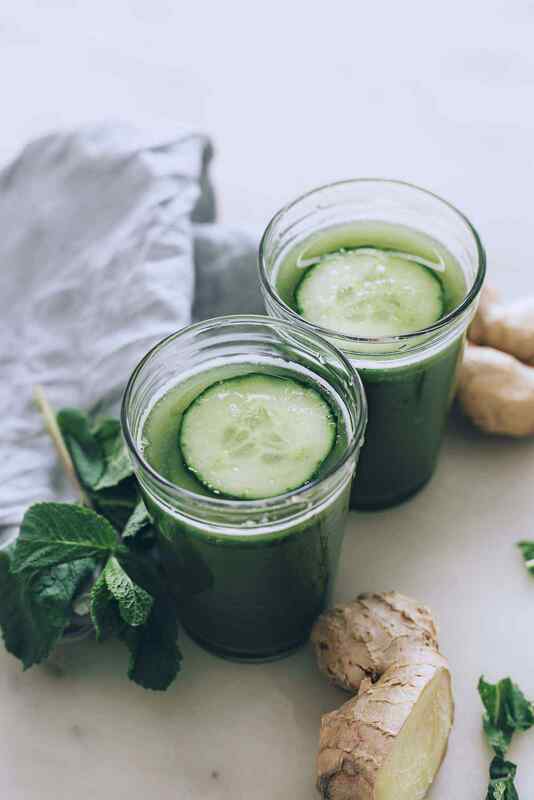 You can’t ever say you’ve have enough greens in your diet, especially when you’re doing a detox cleanse! Raw, steamed or lightly sautéed, greens are an exceptional source of fiber, minerals and antioxidants. 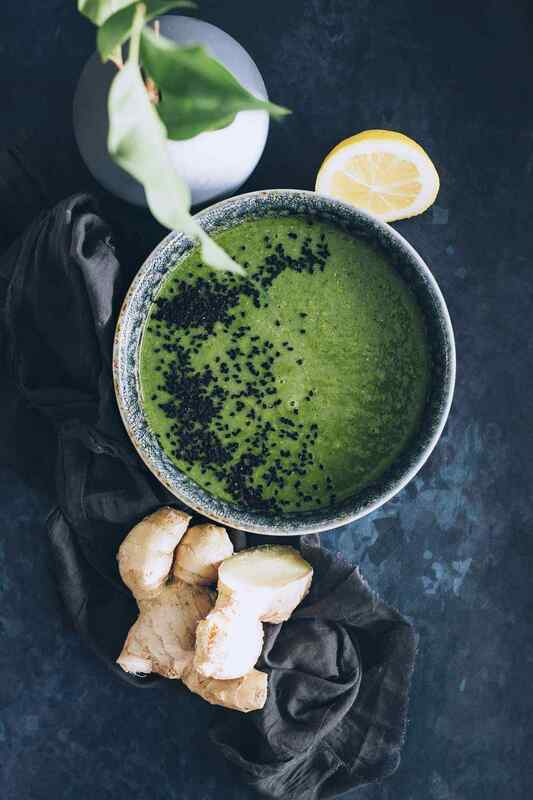 Spinach is our go-to ingredient for this green ginger soup, because it pairs wonderfully with the ginger flavor and they make a great combo when it comes to nutrients. Spinach provides both antioxidant and anti-inflammatory support, with its high concentrations of vitamin K, manganese and magnesium. Ginger not only adds delicious spiciness but also soothes your digestive system, making it a great addition for a light and easy detox ginger soup. Add the parsnip, carrot, potato and onion into a medium soup pot, add the vegetable broth and bring to boil over medium heat. Simmer for 10 minutes over low heat, then remove from the heat and add the spinach, and mix to incorporate. Transfer into a blender, add the olive oil, parsley and black pepper, and pulse to obtain a creamy liquid. Add the lemon juice, and pulse to incorporate. Divide into serving bowls, garnish with nigella seeds and serve warm. 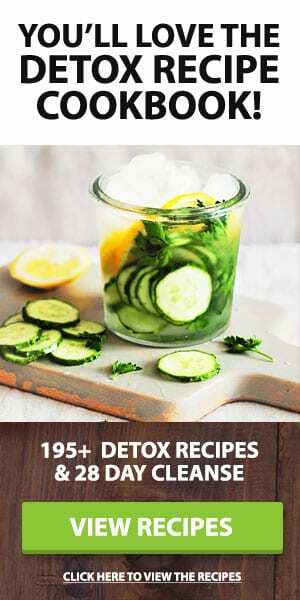 Who saids detox has to be boring and tasteless? This blueberry ice cream made with only five ingredients will prove to you the contrary! 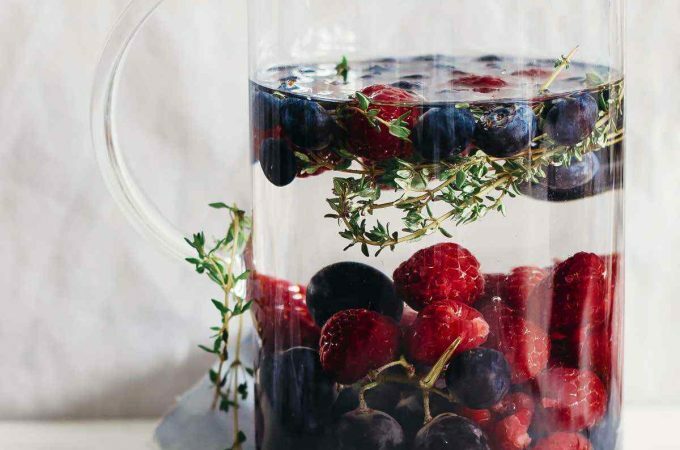 Blueberries are among the antioxidant-richest foods, making them an excellent ingredient for a detox celanse. They contain a unique combination of nutrients- manganese, vitamin C, vitamin K and anthocianin antioxidants. 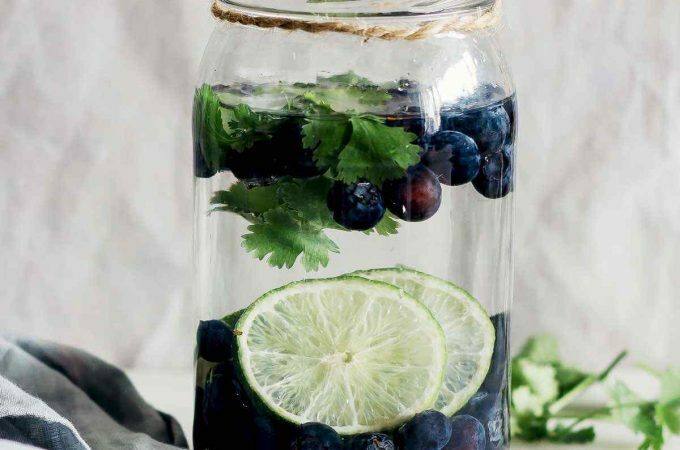 Ginger balances the sourness of blueberries, while its gingerol add extra anti-inflammatory benefits. This ice-cream is not only creamy and delicious, but actually takes no time to make it and comes loaded with detoxifying properties. 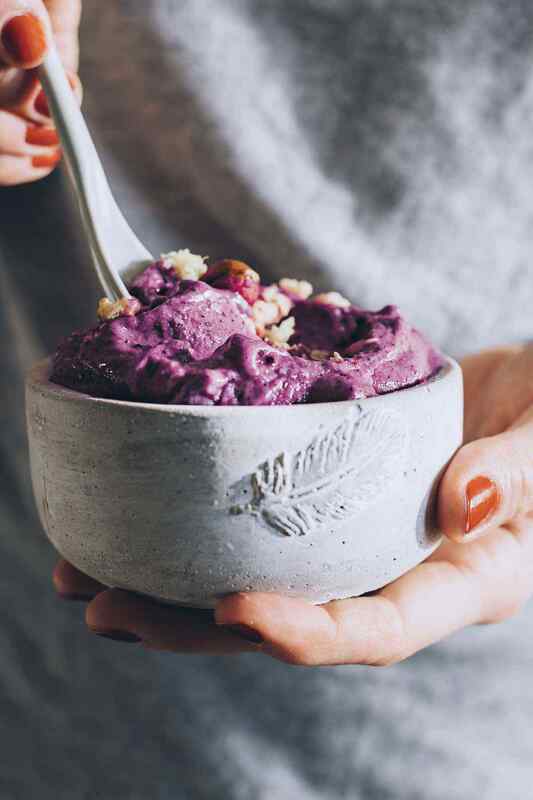 Add the frozen blueberries, banana and coconut milk into the food processor and pulse to obtain a creamy ice-cream. Add the nut butter and ginger powder and pulse once or twice to incorporate. Divide into serving bowls and serve straight away. 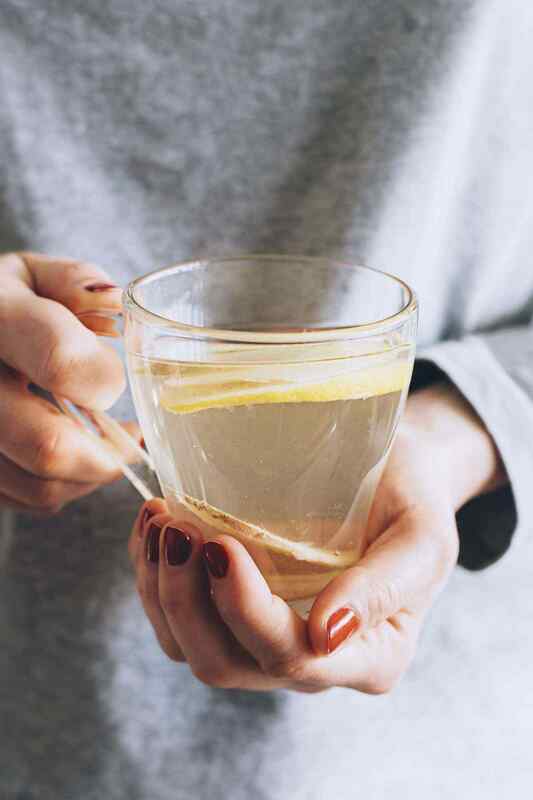 End your ginger detox day with a warming ginger drink made with three healing ingredients. Turmeric is a renown Ayurvedic ingredient, with exceptional anti-inflammatory and antioxidant properties, while also providing protection for your digestive system and preparing you for a good night sleep. Lemons contain the vitamin C master and are a great digestive booster, helping your system restore during your night sleep. Ginger has calming effects on your digestive system, reducing flatulence and stimulating nutrient absorption. 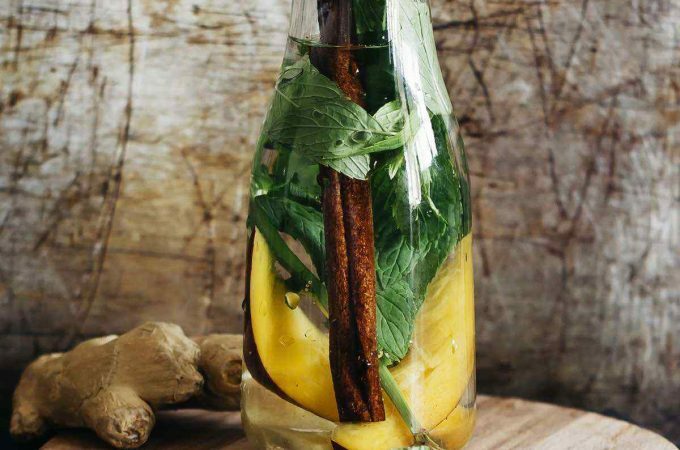 Drink this ginger elixir at least one hour before going to bed. 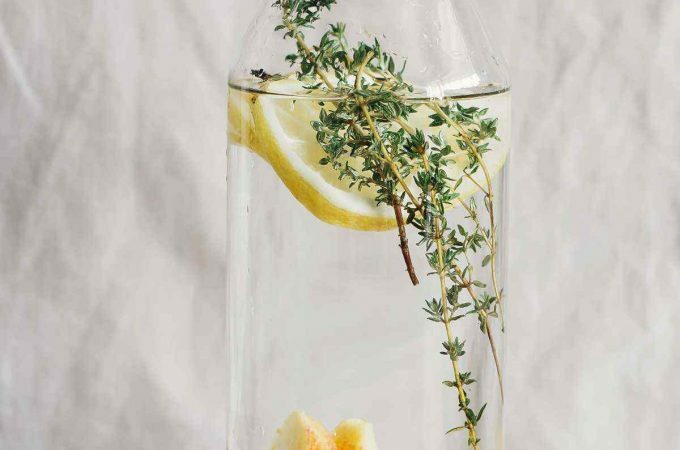 Add the ingredients except lemon into a kettle, cover with hot boiling water and infuse for seven minutes. Strain and let cool until comfortably to drink. Add the lemon juice, divide into serving bowls and serve. Ginger is an excellent ingredient to add to your homemade beauty product recipe book, especially for tired skin with clogged pores or acne. The compound gingerol opens the pores and stimulates blood-flow and collagen production, helping your skin look younger and glow. Combine it with the soothing and anti-microbial effects of organic raw honey and liquid castile soap to obtain a gentle cleanser, with skin detoxifying effects, and without any chemical burden. Combine all the ingredients into a medium glass bowl and set aside for 1 hour. Strain and transfer into a glass jar or bottle. To use, add a small amount into your palm, add a bit of water, rub your palms together and wash your face. Rinse with fresh water and apply your favorite moisturizer. Thinning hair, hair loss, oily hair – these are only some of the problems many have dealt with at least once in their life. 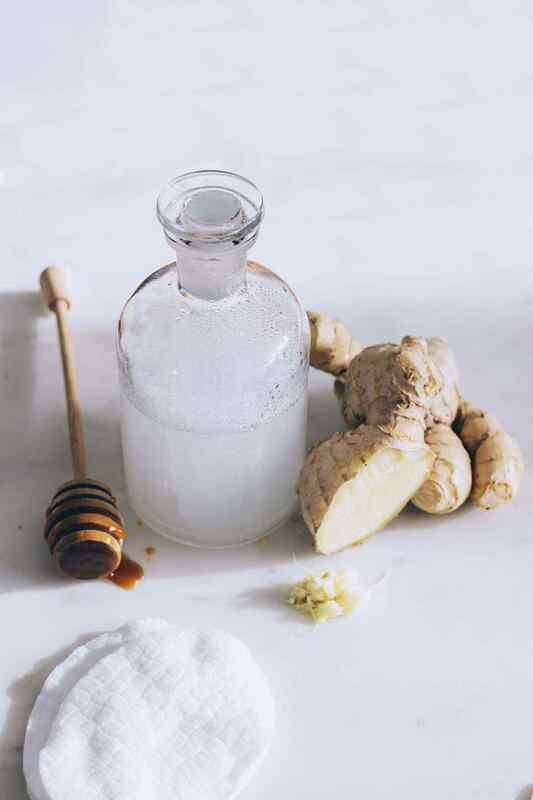 Making your own homemade ginger shampoo is the best way to know exactly what ingredients you use on your hair. Ginger is a great addition to your favorite DIY shampoos, because of its skin stimulating, pH balancing and invigorating benefits. 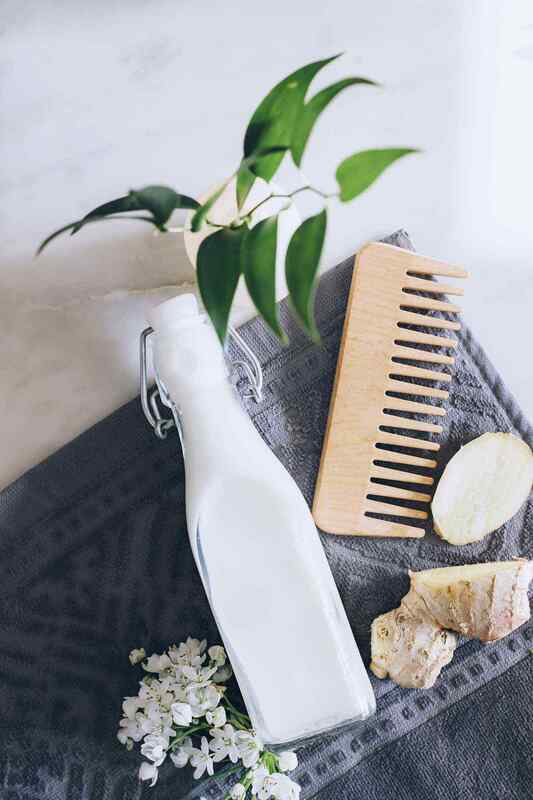 The hair follicle is nourished with the natural gingerol compounds – your hair will be less oily, stronger and will have a natural shine. 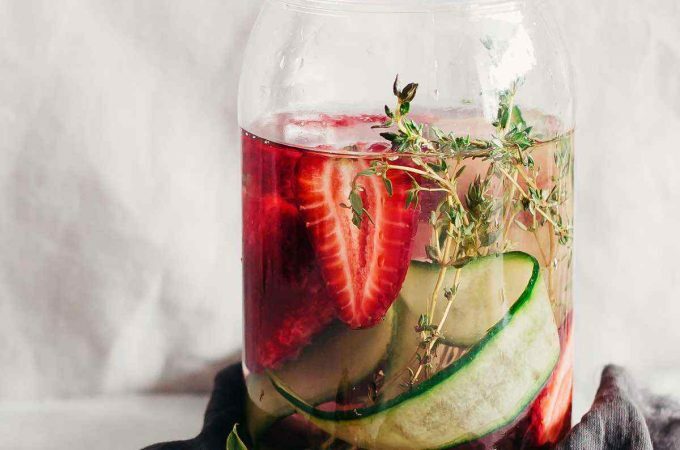 Whisk all the ingredients into a bowl and keep them into a glass bottle with lid in the refrigerator. Removing dead cells from your skin with exfoliation is a great step in stimulating cell regeneration and the elimination of accumulated environmental toxins. The ready-to-use products in stores contain unwanted chemicals that disrupt hormone production, so making your own body scrub is the best way to keep your skin stimulated, nourished and healthy. 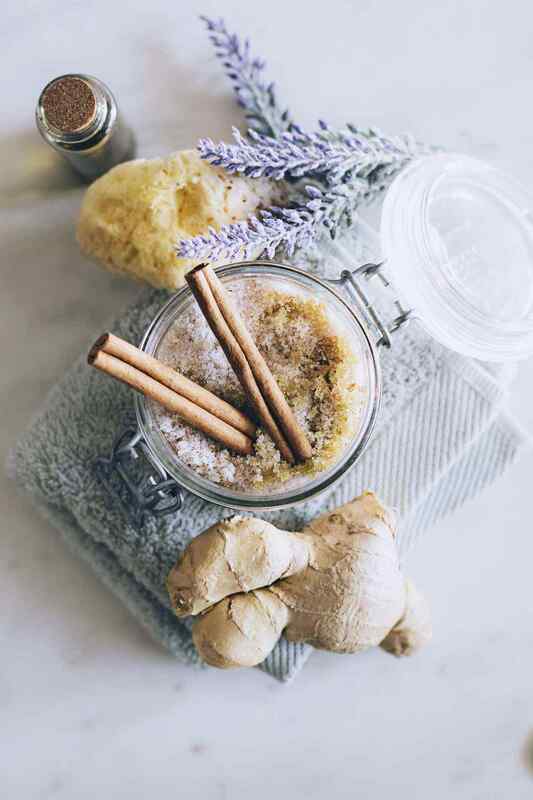 This DIY ginger scrub is made with ginger for a regenerating effect due to stimulating blood-flow, with cinnamon for a detoxifying boost and lavender for calming, soothing effects. Use it twice a week on your body. Mix all the ingredients into a bowl and keep into an airtight container. To use, apply on wet skin in the shower, rub gently and rinse, then apply your favorite moisturizer. Make your own toothpaste to cleanse your mouth, regenerate your gums and restore healthy pH levels. This recipe doesn’t look like the creamy toothpaste you’re used to, but it works miracles for your oral health. The baking soda is a great ingredient to restore your pH, while peppermint oil has a refreshing and antimicrobial effects. 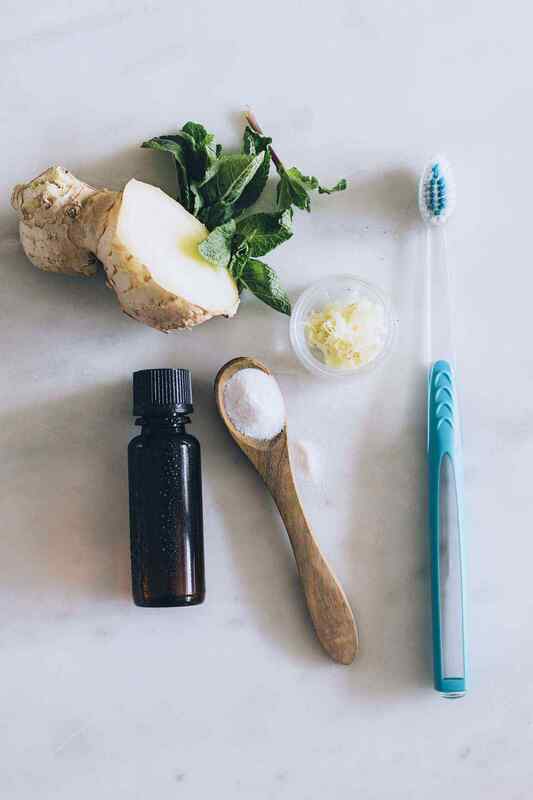 Ginger has blood-flow stimulating effects, reducing gingivitis risks and helping your gums look and feel healthy. Use it once at least or twice a week for best effects. Mix all the ingredients into a small bowl. Apply a small quantity on your toothbrush and rub on your teeth and gums. Keep in the refrigerator in a small lidded container. 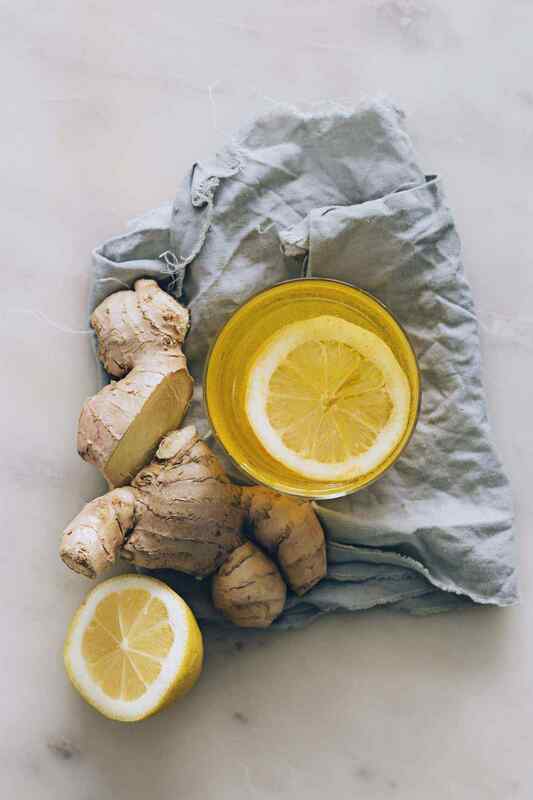 Ginger and lemons are the essential ingredients to help your body cope with colds and help get rid of colds naturally. Ginger has antiviral and antimicrobial action, while also stimulating your blood flow. Lemon is loaded with antioxidant vitamin C, and also have metabolism boosting effects, helping your body cells fight against a cold. Sweeten this tonic with organic raw honey to nurture good bacteria that stimulate immune system activity. In a ceramic bowl mix the grated ginger with turmeric and cayenne, and add lemon juice to form a paste. Add warm water and lemon juice and mix to incorporate.